It is in the region of Brittany, in the heart of the salt marsh of a wetland where the rum of Les Rhums de Ced macerate through the natural elements and the salt water in which they submerge. We have interviewed Cédric Brément to discover the history and process behind Les Rhums de Ced. SH: How did this idea come to your mind? CB: In 2014, I met Mano, a salt worker in the heart of a salt marsh in the Breton marsh, only 30 minutes from our workshop near Pornic. Immediately the feeling passes… Mano and his friend Nath have been working for more than 10 years in the production of a vintage salt specific to their terroir. I was touched by the self-sacrifice and passion with which, every day throughout the seasons and natural elements, they innovate and produce a high quality salt. We have decided to combine our know-how to try a new experience in the world of arranged rums… in the heart of a preserved natural ecosystem. Le Point G is above all a meeting, a human adventure for more conviviality… or pleasure! How long does it take to macerate under seawater? For the past 5 years, we have been positioning some of our traditional macerations at the bottom of the eyelet of a the salt marsh at a depth of about 50 cm (but size is not everything)! 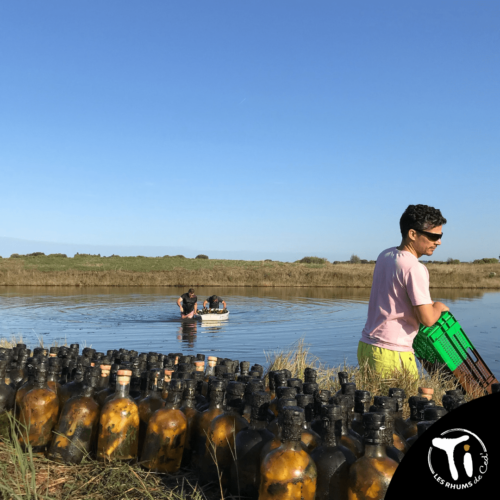 We have tested different immersion times but on average we leave our bottles for about two months in the marsh. The taste is, of course, slightly modified; but how does seawater make this rum so different from the others? You have to come to Les Salines de Millac to understand the exceptional environment from which this little piece of paradise benefits. It is not only the sea water that has an impact on our recipes for macerated rum, it is all the natural elements that surround them during their immersion. Indeed, salt is an enhancer of flavours… Through contact with our corks, the slight salinity created after this experience will sublimate the aroma of our recipes. 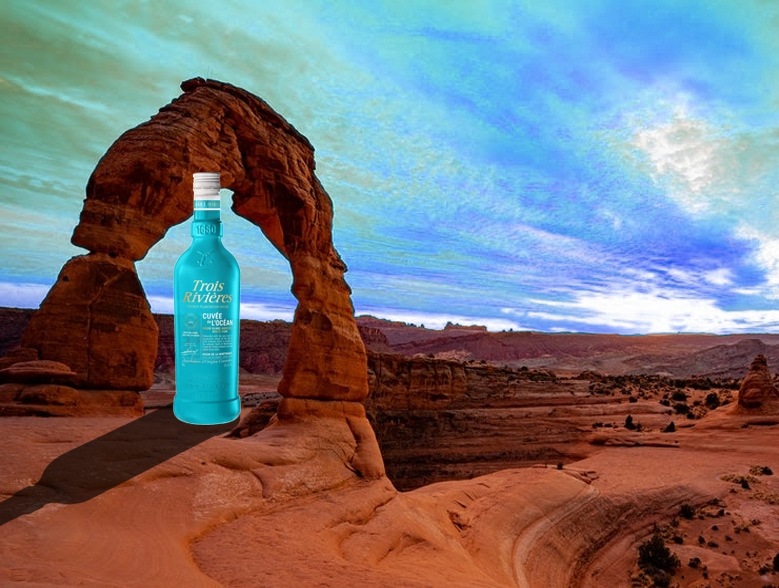 The sun’s rays, the pressure and the movements of the water will all combine to develop unique and different taste characteristics on our macerations every year. We wanted to share our Le Point G to give all lovers of macerated rum a personal and sensory experience in search of pleasure. Ced’s Rums have a rum for everyone’s taste. 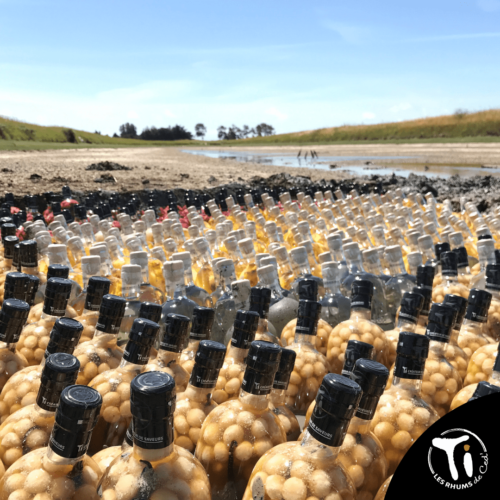 Tastes vary thanks to its three ranges, Ti Original, Ti Arrangés and Ti Planteurs, bringing together 14 varieties of flavours that adapt to the original recipes of the world of rum, seasonal fruits and fruit juices combined with agricultural rum AOC de la Martinique. Discover Ced’s Les Rhums ranges on their product page.